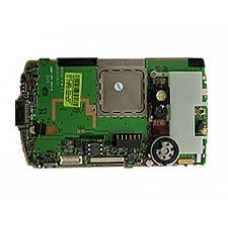 This is a replacement HP iPAQ hw6515 main board with integrated quad band GSM/GPRS/EDGE, Bluetooth 1.2, IrDA. If your iPAQ motherboard has failed this is the correct replacement part. Suitable for the whole HP iPAQ hw6500 range including the hw6515 and hw6510. * Microsoft Windows Mobile 2003 Second Edition Software. If your mainboard is showing signs of processor damage or has memory issues or the GPS module has failed, then our exper..